Back in March I did something bookworms would gasp at—I saw the movie before reading the book. In my defense, I wanted to support Love, Simon as soon as it was released in theaters. Anyway, I loved it so much that I ran to my local bookstore to pick up a copy that same day! 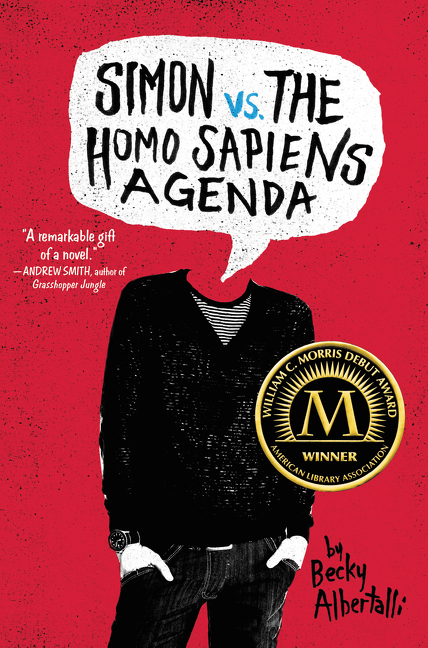 I ended up reading Simon vs. the Homo Sapiens Agenda in one day because I did not want to put it down. If you want to read about the differences between the book and the movie, check out my post here. Now, onto the aesthetic of the book! Have you read Simon vs. the Homo Sapiens Agenda or watched Love, Simon? I read the book – and loved it! I haven’t seen the movie though. I loved both so much! The movie definitely did the book justice!